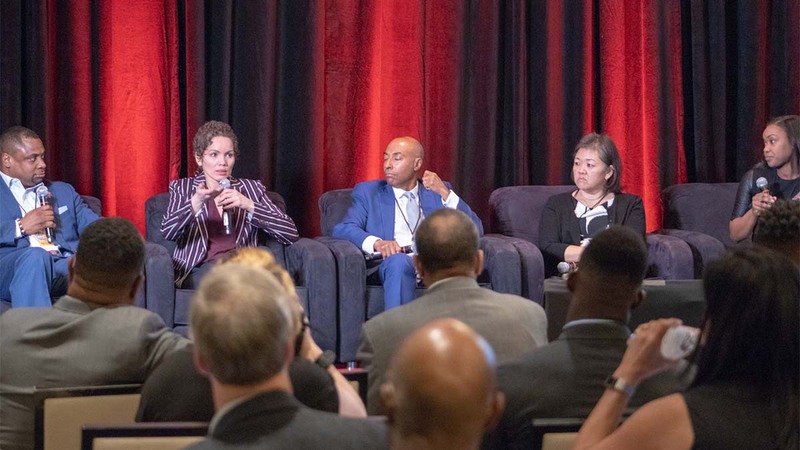 A panel at Arizona State University’s 2019 Global Sport Summit discussed the struggles each member faced and the perceptions people of color are subject to in their pursuit of leadership roles. Many leadership roles in major American sports are white males, and the current system has made it significantly harder to reach such a position as a minority. Orridge was the first person of color to be chief executive of a North-American sports league, serving as commissioner of the CFL from 2015 to 2017. “The culture point cannot be underscored enough,” said Lori Okimura, the first Asian-American to hold the position of president of USA Volleyball. Okimura said another former executive made inappropriate comments to her the moment after she was elected. The panel also offered thoughts on when a person of color will become commissioner of a major sports league in the United States. Given the patterns of other leagues, Orridge said that may be difficult to accomplish. NBA Commissioner Adam Silver began working with the league in 1991 and soon became heir apparent to David Stern. Roger Goodell began working with the NFL as an administrative intern in 1982 and was promoted to president of the American Football Conference in 1987. He was elected to succeed Paul Tagliabue as commissioner in 2006. Renee Tirado, who helped launch MLB’s Diversity Pipeline Program in 2016, voiced an opinion similar to Vincent’s.